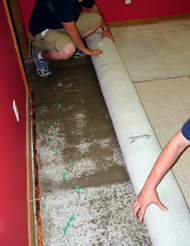 Has your carpet or upholstery been damaged from a storm or flood and require a water damage restoration team? Brisbane knows all about water damage. Chem-Dry Amazing's water damage restoration team can tend to water damage. We can complete any water damage restoration that may be caused by floods, faulty or damaged plumbing, fire control or high humidity conditions, accidents or negligence, defective appliances or fixtures, willful misconduct or vandalism. Our accreditation and certification makes us an approved Insurance claim provider. 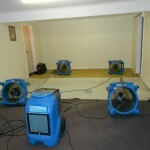 We are the first choice professional service for water damage restoration in Brisbane. Chem-Dry’s water damage restoration & wet carpet service team aim is to prevent personal injury or any further damage to your property. We determine the source of the damage, providing you peace of mind. The goal of Chem-Dry Amazing is to mitigate your loss, speed up the time of recovery, eliminate harmful contamination and to restore your property to pre-water damage condition as soon as possible. Chem-Dry Amazing water damage restoration team provides approved procedures which are consistent with S500 – IICRC Professional Water Damage Restoration standards. We understand the Queensland weather and are able to come out for 24-hour restoration in the Brisbane Metro area. Chem-Dry Amazing’s water damage restoration procedures are designed to remove moisture and to speed up the drying process to prevent or stop the growth of biological contamination that may have been activated by the moisture leak. The carpet restoration process is developed to stop the growth of mold and mildew and to remove and extract; the maximum level of spores caused by the biological contamination in the case of sewerage. Chem-Dry Amazing prides itself on providing quality 24-hour service within Brisbane and surrounding areas from Chermside to Cooraroo for any water damage restoration or wet carpet needs. We ensure that there is always a prompt initial response. We are committed to our customers and communicate with them to ensure that they understand the predetermined goals of the whole restoration process. We use only quality equipment that is regularly tested to ensure it is in good working condition. All our staff are trained, highly qualified and skilled in the services offered by Chem-Dry Amazing water damage restoration team.